London has a significant migrant population compared to the rest of the UK. Many social issues in the capital are particularly likely to impact on people from migrant communities. London is a global city. 38% of Londoners were born outside the UK, compared to 11% in the rest of England. Migration does contribute towards the city’s growth; however, the primary factor leading to the population increase is that birth rates are higher than death rates. 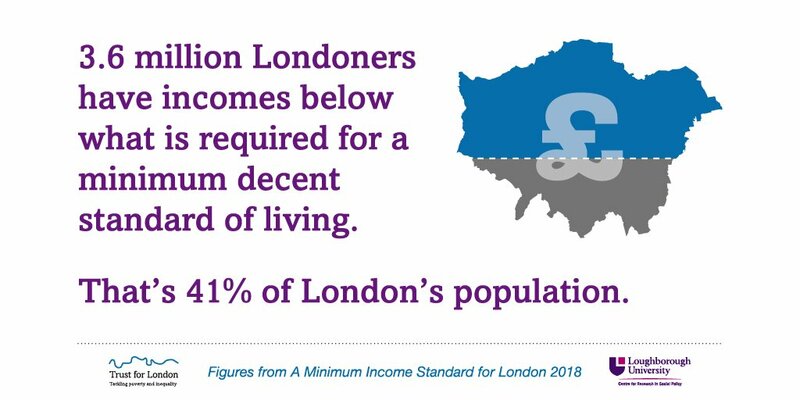 London’s Poverty Profile shows how poverty disproportionately impacts some migrant communities in London. As a consequence, many of the projects we fund benefit London’s migrant communities. Some of these grants go towards organisations that work within a specific migrant community, while others are for projects that help migrants from all parts of the world. For example, The Citizenship and Integration Initiative has been set up to ensure that Londoners of all backgrounds can contribute to the life of the city. Working with Unbound Philanthropy and the Paul Hamlyn Foundation, as well as several other independent funders, the initiative is a ground-breaking partnership between civil society, the GLA and philanthropic funders. As part of his commitment, the Mayor of London has appointed a Deputy Mayor for Social Integration, and the GLA have made an equivalent investment into their Social Integration team. The fund aims to distribute £1 million over four years between 2017 and 2022. We also fund research on migration in London. For example, a report by the Migration Observatory, The Burden of Proof, looks at how the application process will work for the EU Citizens after Brexit. It found that 34,000 applications from EU Citizens for permanent residence were rejected in the 15 months after the EU Referendum and that the application process is highly complex and strict. And a report by ECPAT UK (Every Child Protected Against Trafficking UK) uncovered that a quarter of trafficked children went missing from care in the year to September 2015. You can find out more about our wider work regarding migrants below. Trust for London shortlisted for a Charity Award!